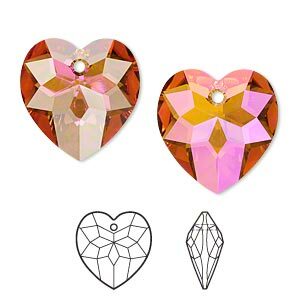 Drop, Swarovski® crystals, crystal red magma, 18x17mm faceted heart pendant (6215). Sold individually. Item Number: H20-1696CR Have a question about this item? 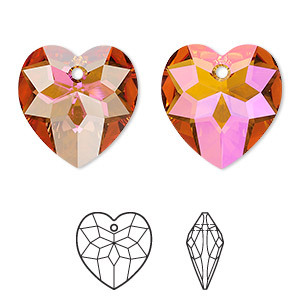 Regarded as the highest quality, machine-cut and polished crystal in the world, Swarovski crystal drops have striking facets that give designs an incredible play of color. 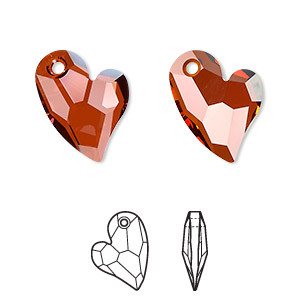 The crystal red magma effect resembles a deep cognac with its soft, warm color. 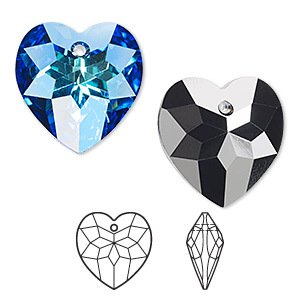 The attention-grabbing effect can stand alone as the primary design element or be used as a fiery accent in jewelry designs. 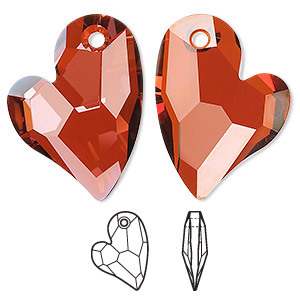 Drop, Swarovski® crystals, crystal red magma, 18x17mm faceted heart pendant (6215). Sold per pkg of 24. 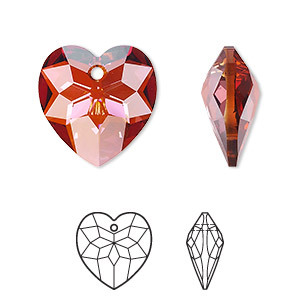 Drop, Swarovski® crystals, crystal red magma, 18x17mm faceted heart pendant (6215). Sold per pkg of 72.